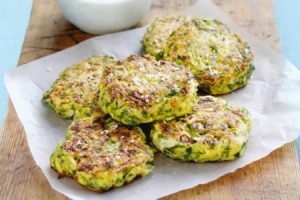 These simple easy zucchini fritters are made to order for a healthy breakfast with some leafy greens. Or great lunch box fillers to eat cold with a homemade relish and rice salad. Ideal to make the day before but very easy as required when vegetables have been grated prior. 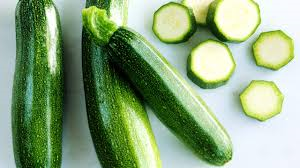 To mix it up a bit replace the zucchini with sweet potato, carrot or pumpkin or do a mix of any of these veges. Combine all ingredients except olive oil, in a medium bowl. Stir well until combined. Heat oil in a large pan over medium to high heat. Mould the mixture into medium size balls and press flat into pan. Enjoy hot or cold with salad and a chutney dressing.